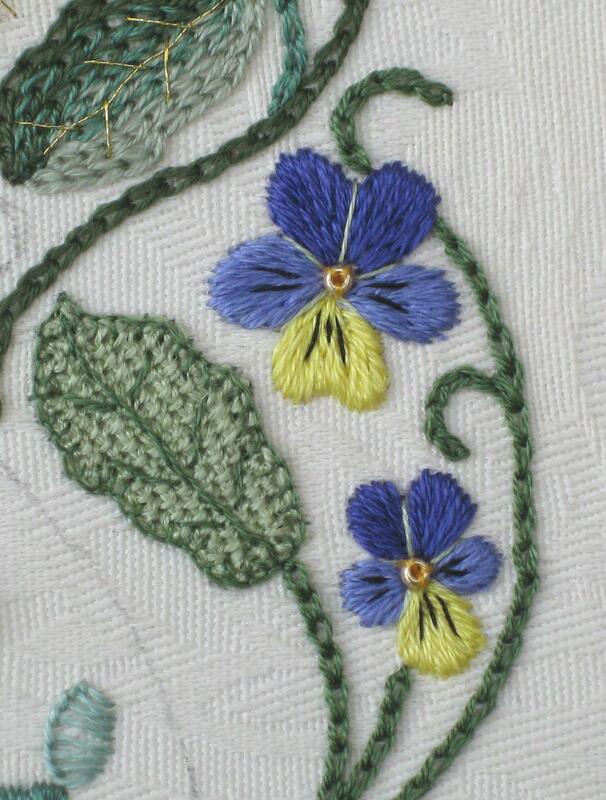 This is the first of a ‘Gallery’ of images I’m going to put up on my blog, to show some of the embroidery and beadwork I’ve finished over the years. 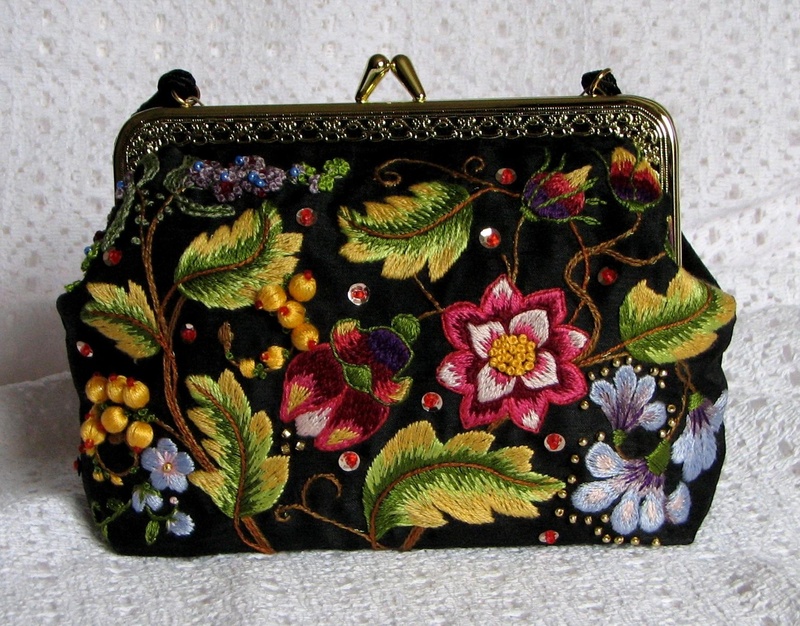 This petal bag is a lovely project that I completed a few years ago, and it’s been my favourite ever since. 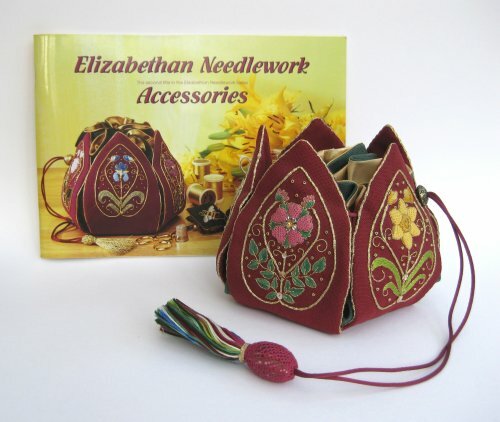 I love making embroidered bags. 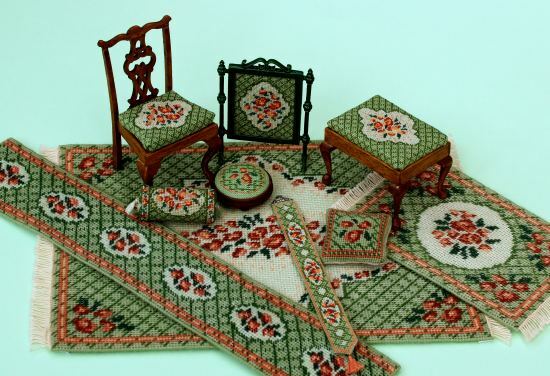 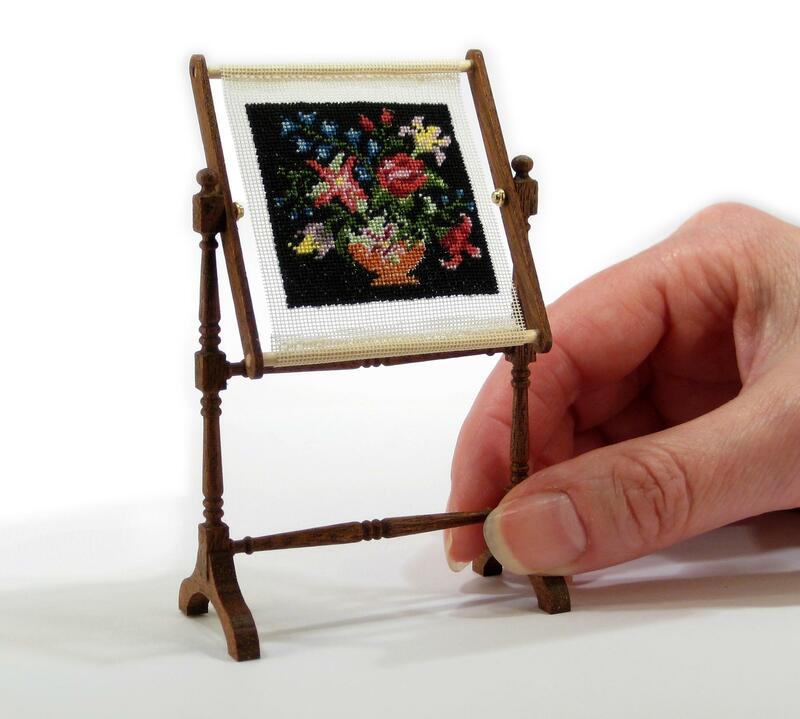 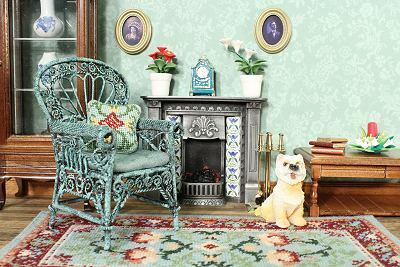 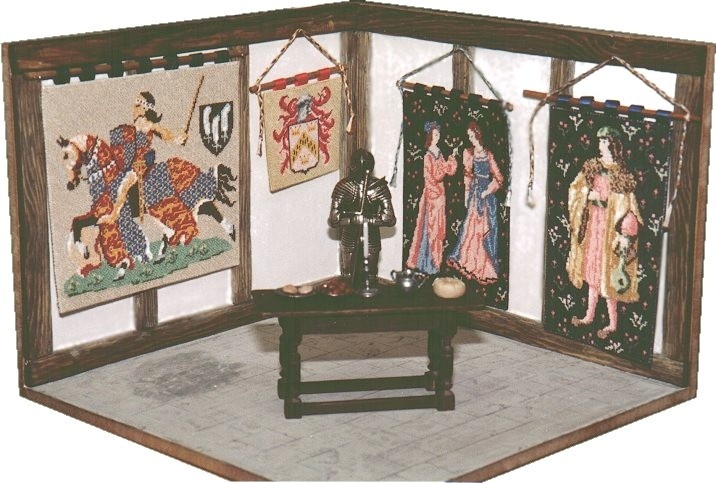 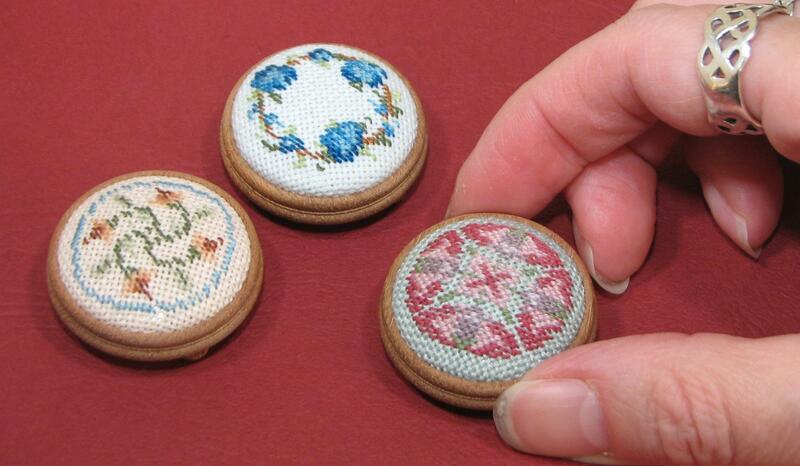 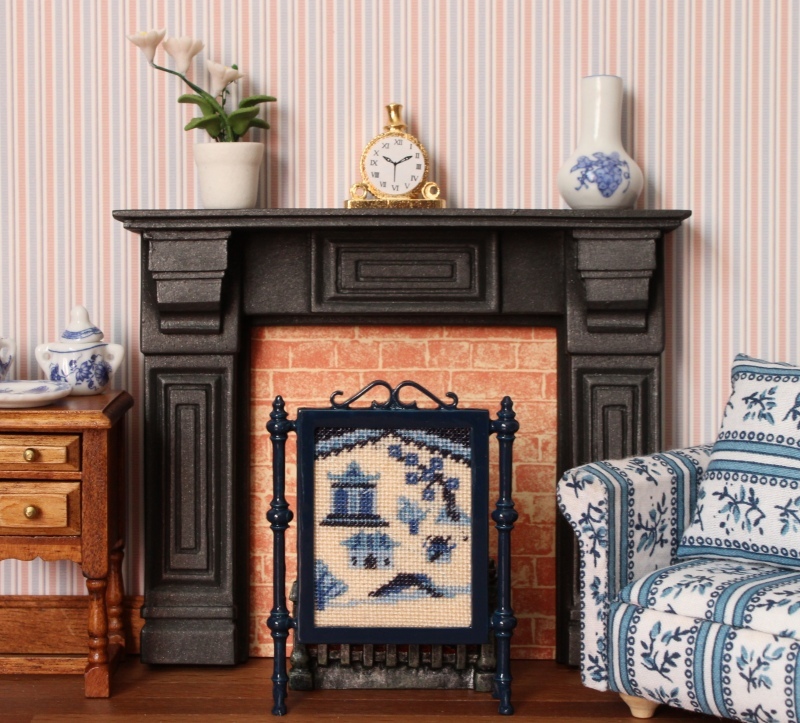 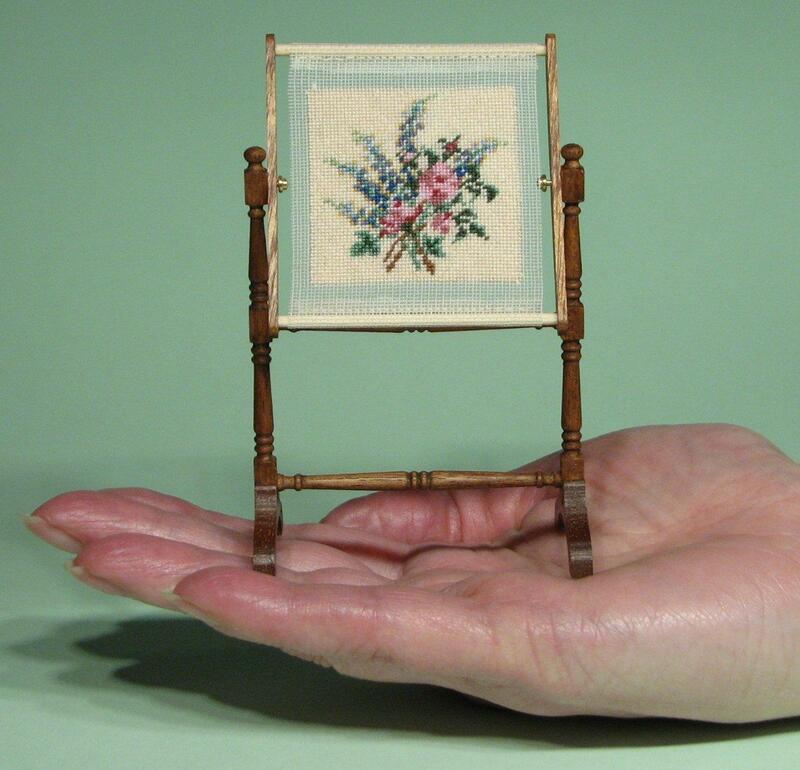 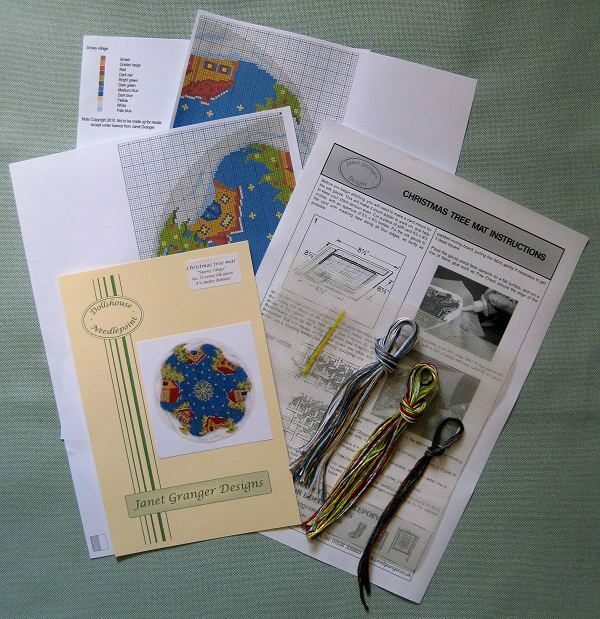 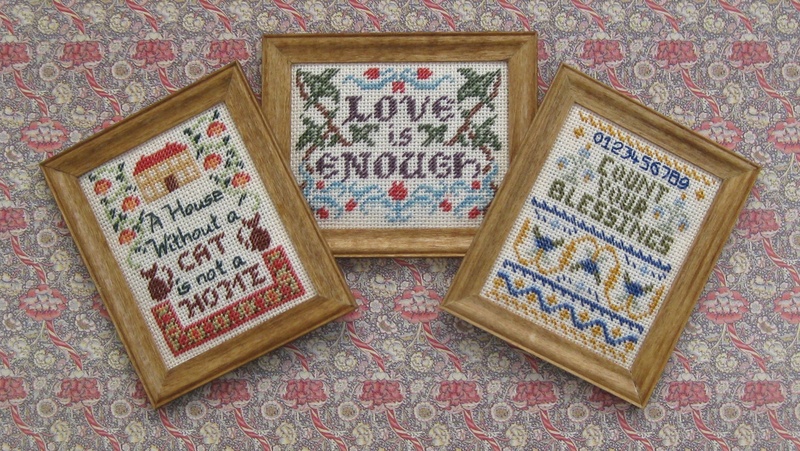 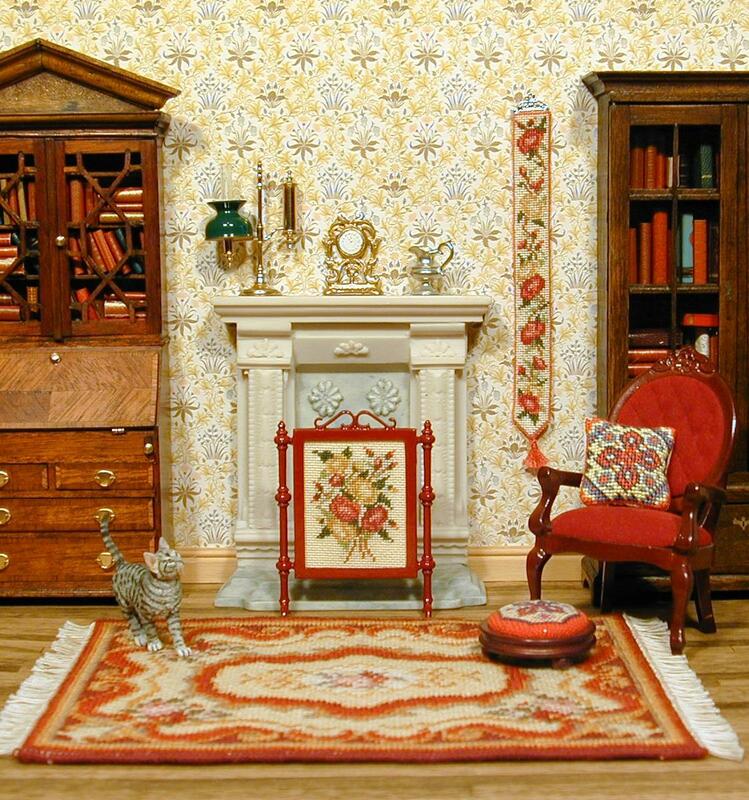 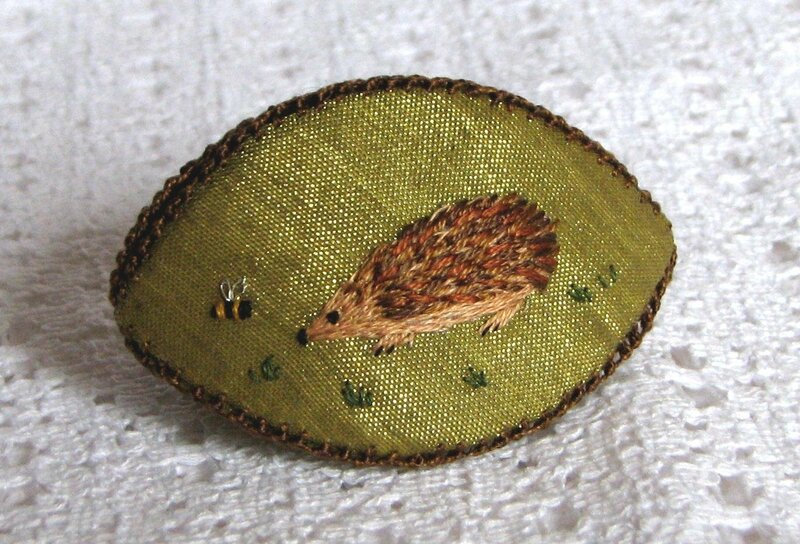 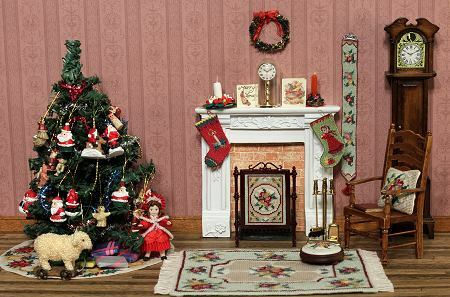 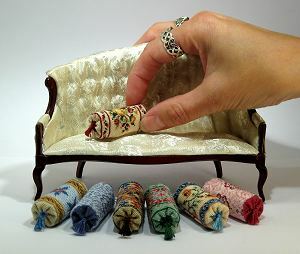 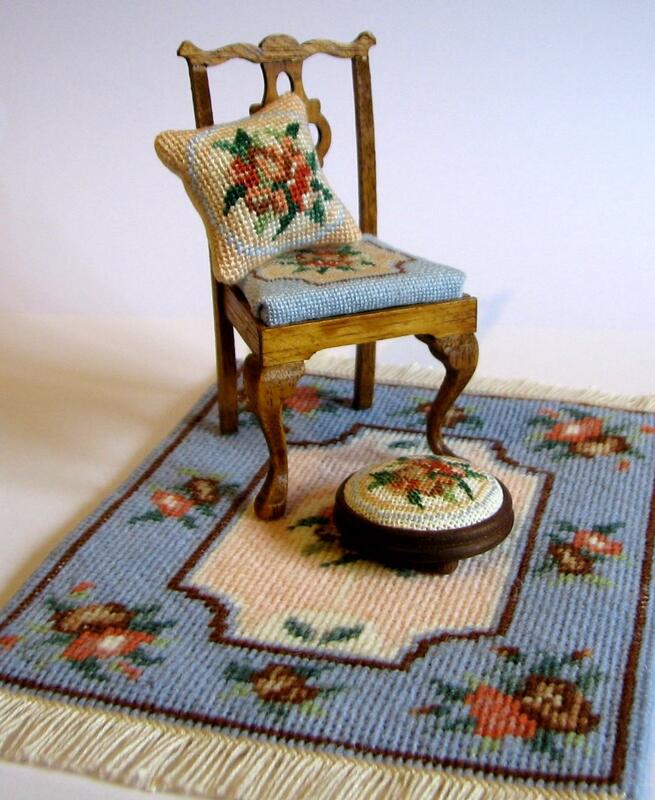 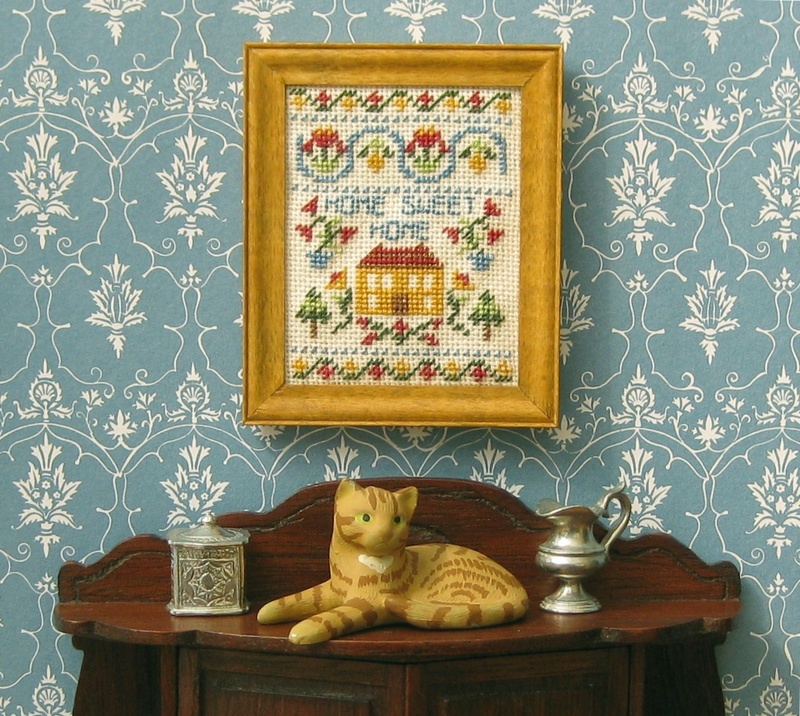 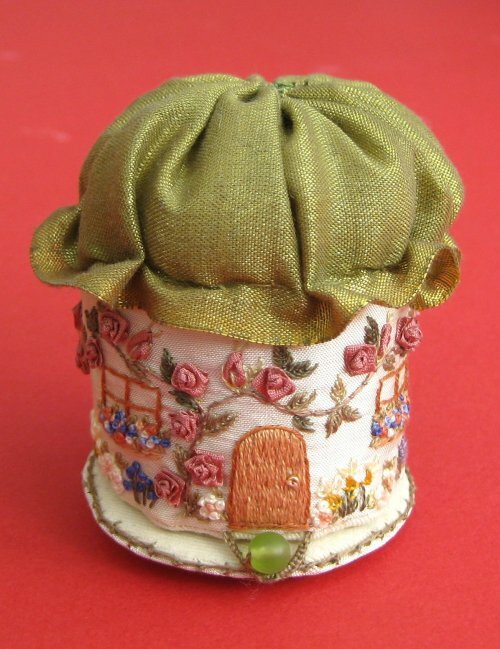 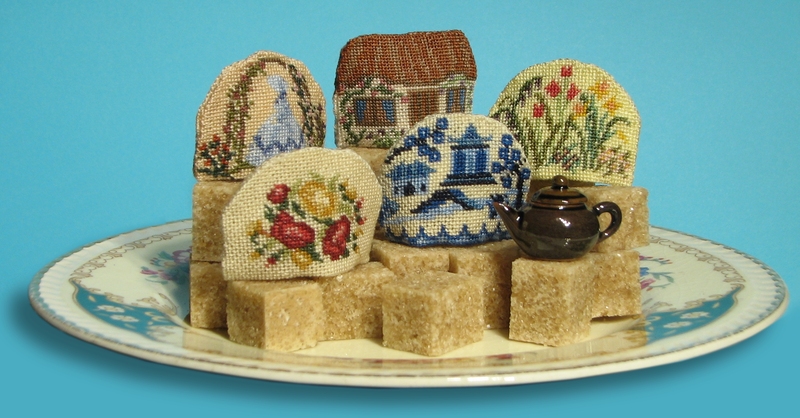 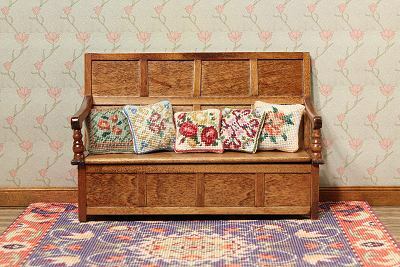 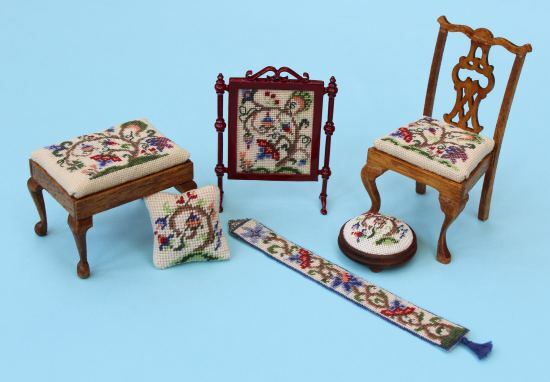 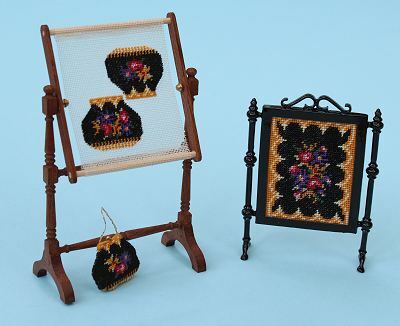 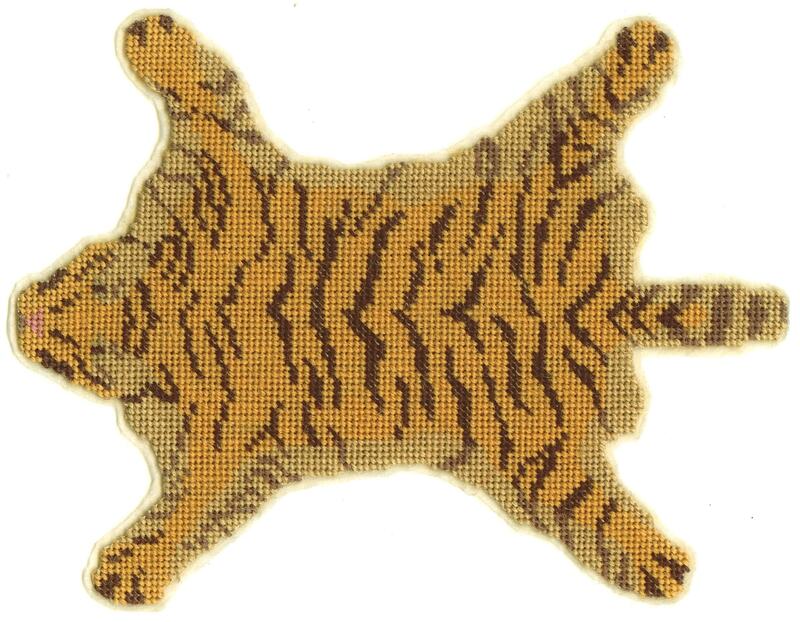 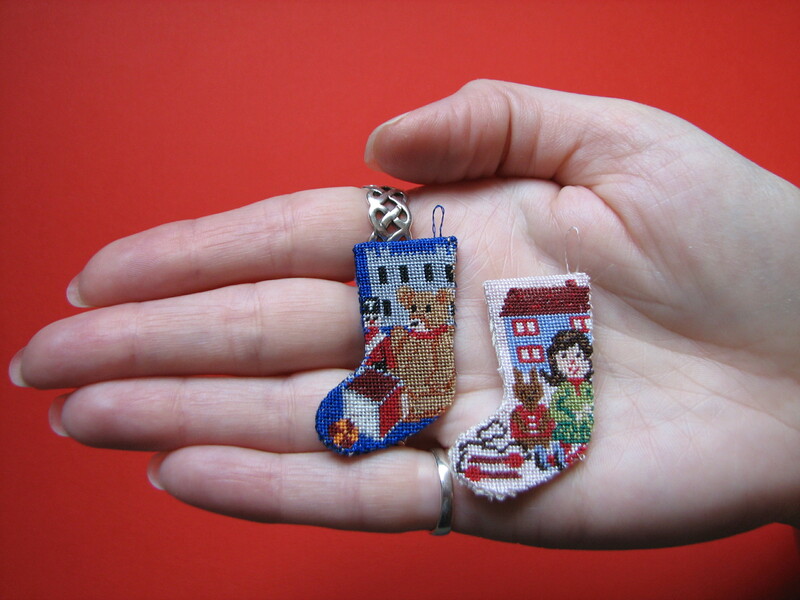 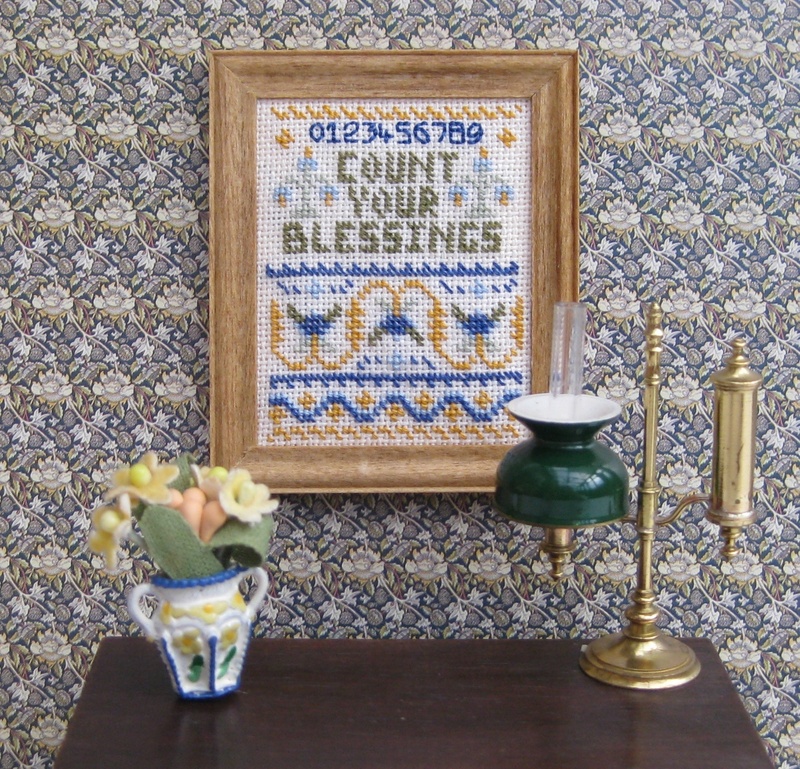 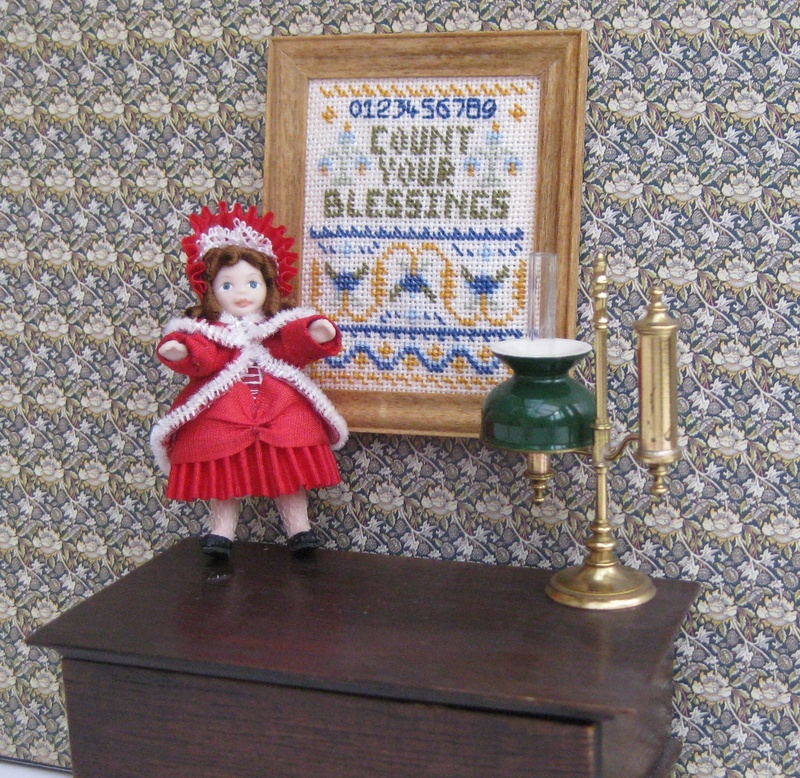 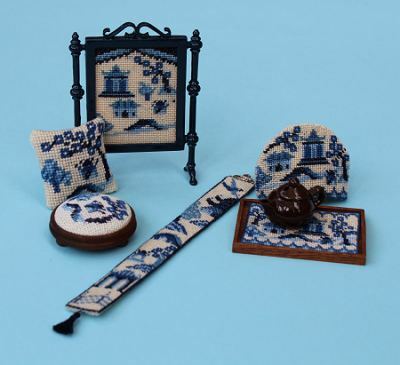 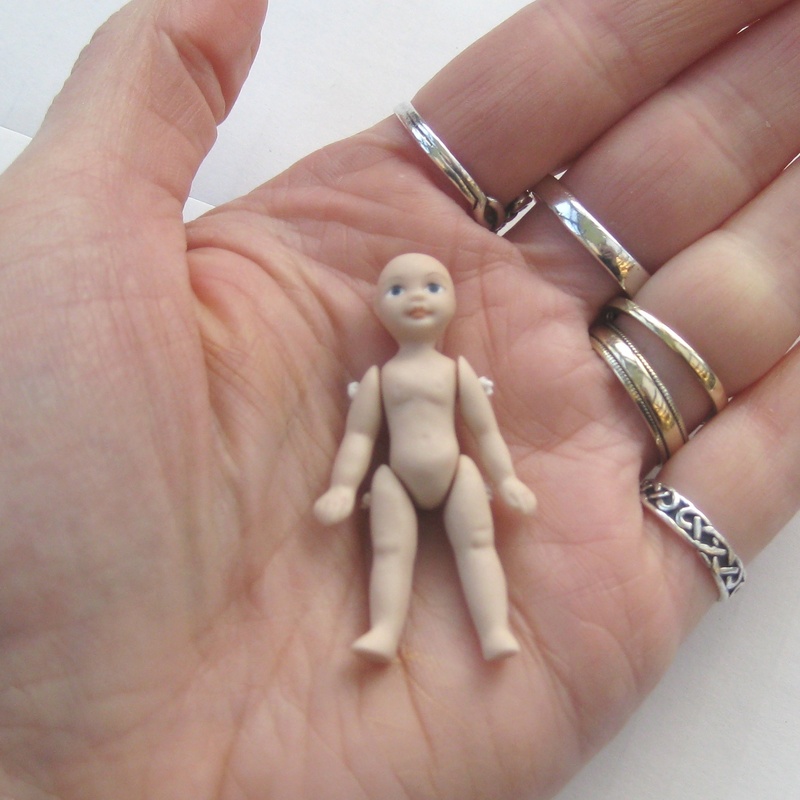 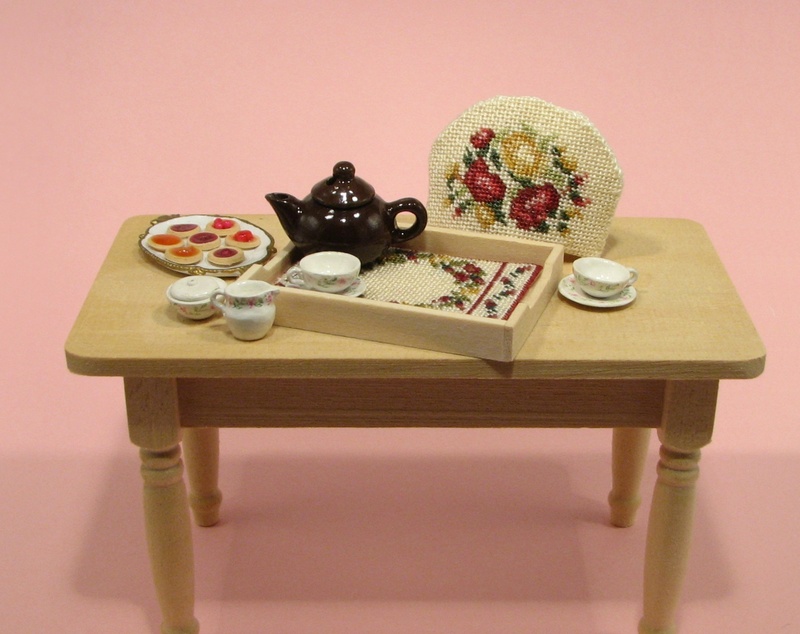 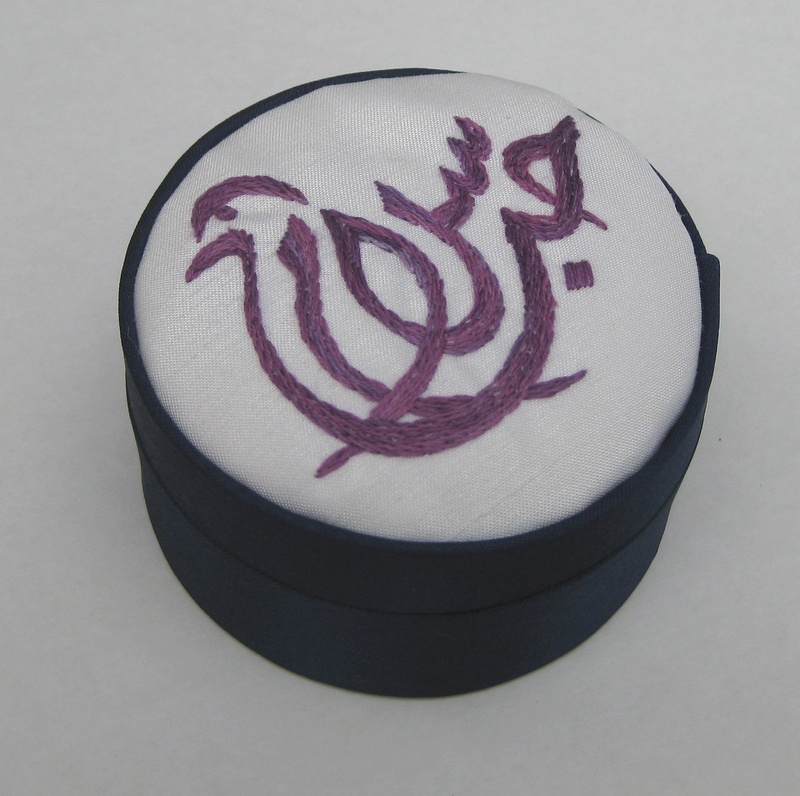 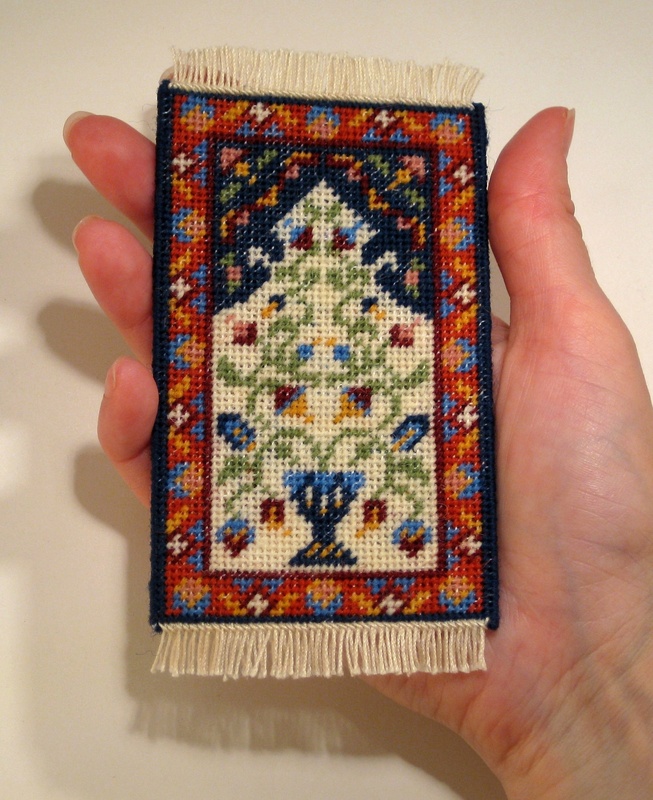 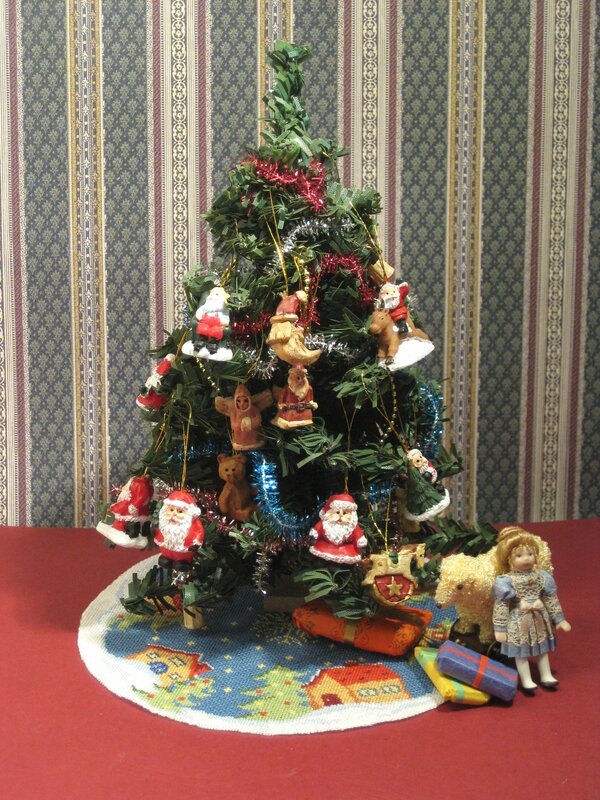 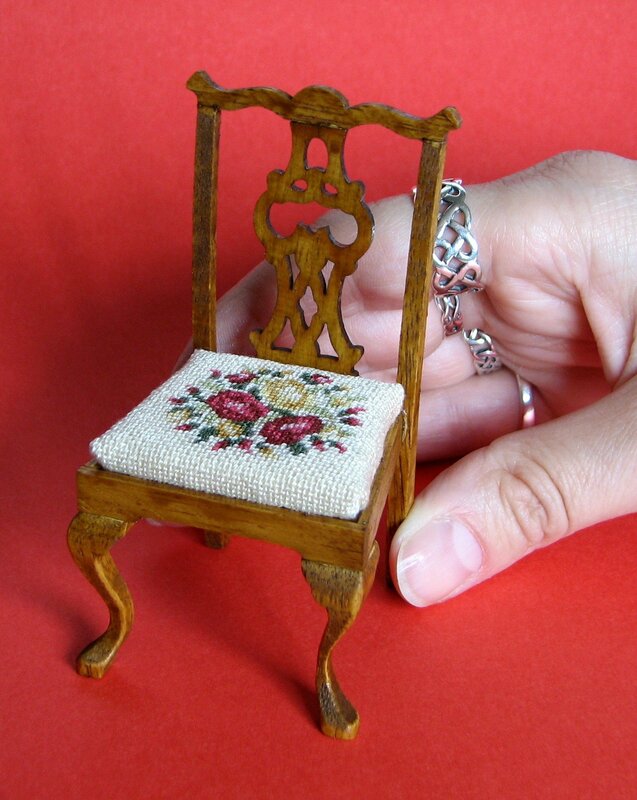 All the embroidery that I make to sell as kits is miniature embroidery for doll’s houses (see my website Janet Granger Designs for details) – so, when I’m doing embroidery ‘for fun’, I like to do ‘full size’ items, for a change. 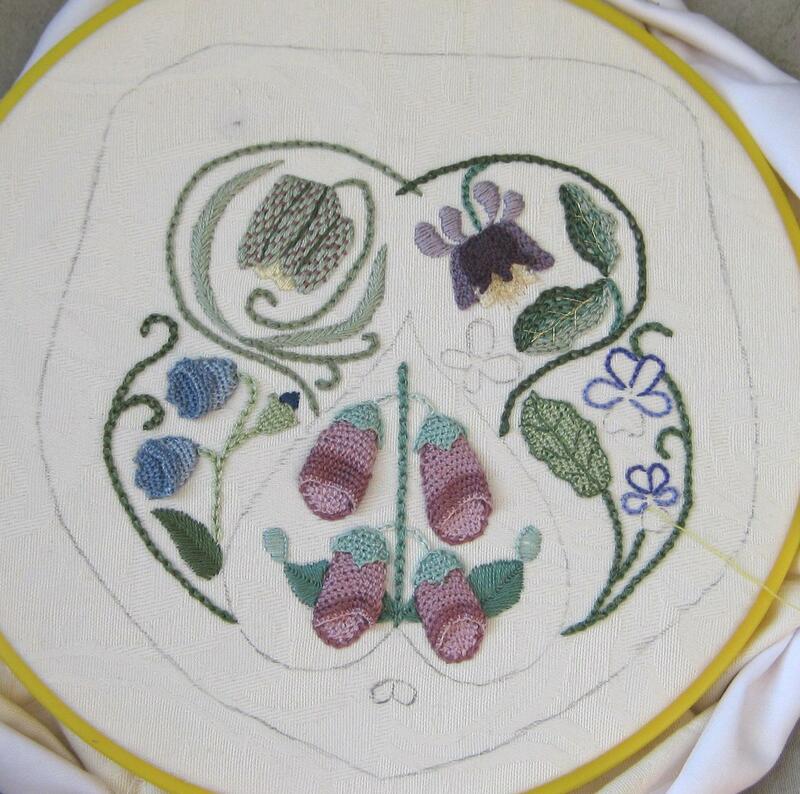 My version of the bag took me two months of ‘spare time’ in the evenings, but it was a very interesting project to work on, and the embroidery so varied that it didn’t become a chore to stitch. 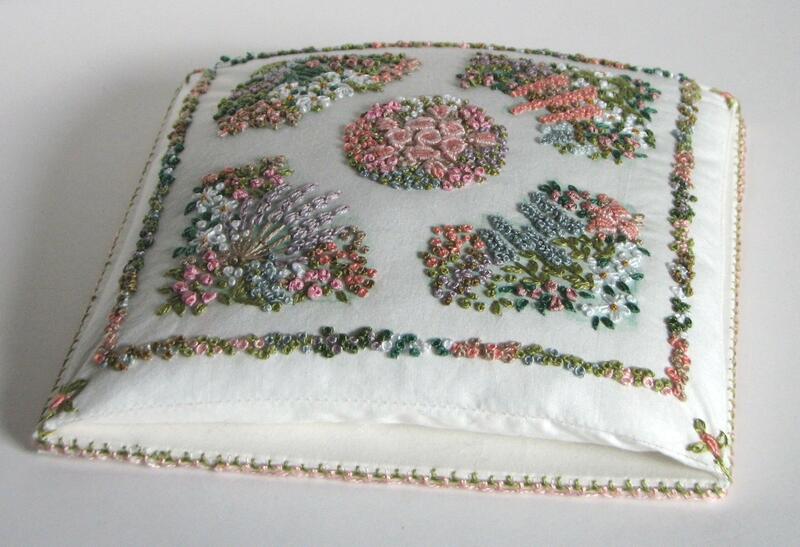 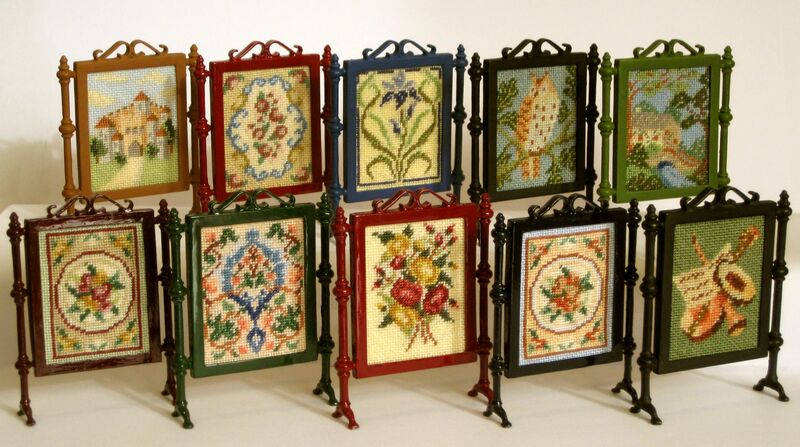 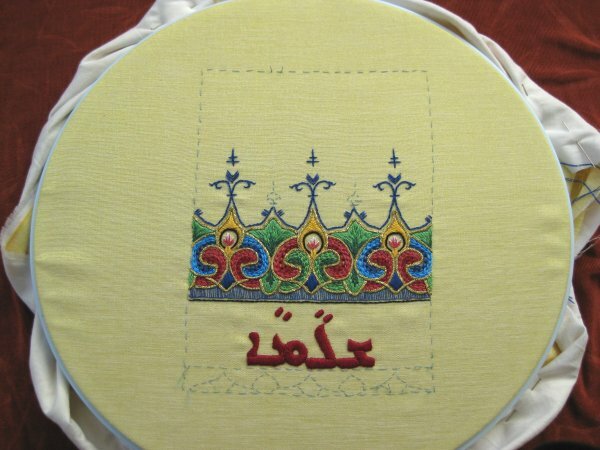 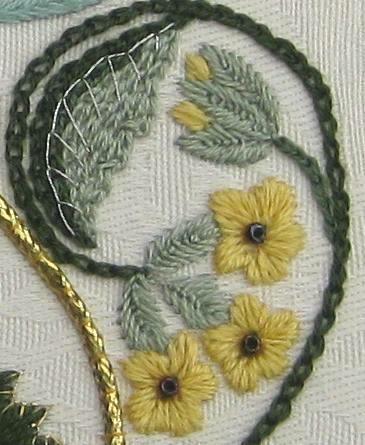 Each of the five panels feature a different flower, with a goldwork couched border. 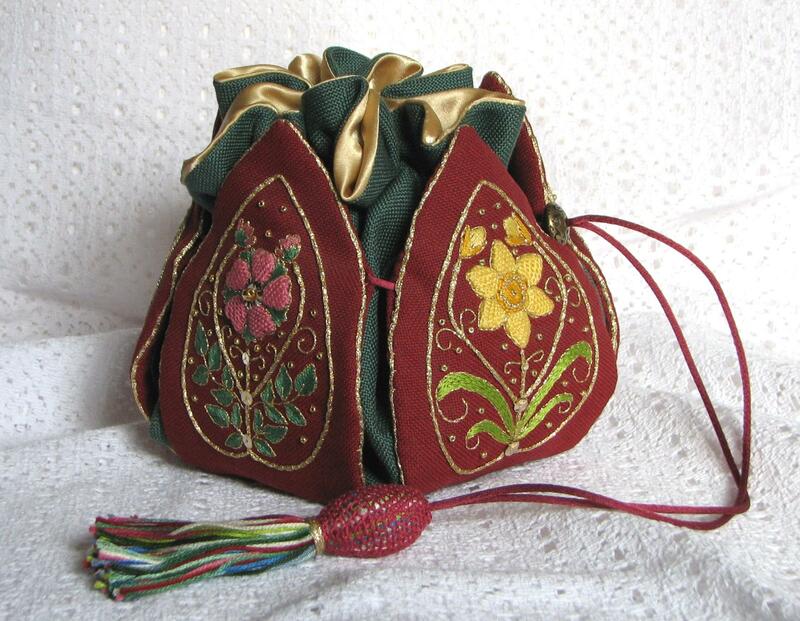 When the bag is opened, by releasing the drawstring, the ‘petals’ fall flat, revealing pockets on the inner side of each petal, embroidered with five smaller flower motifs. 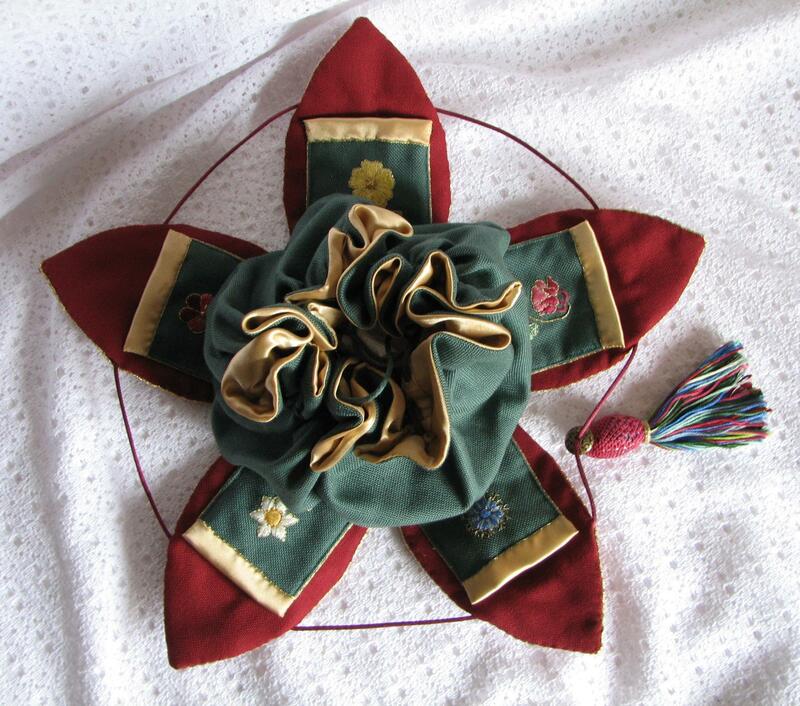 The drawstring bag is lined with gold satin, to resemble a flower centre, and opens with two more drawstring cords. 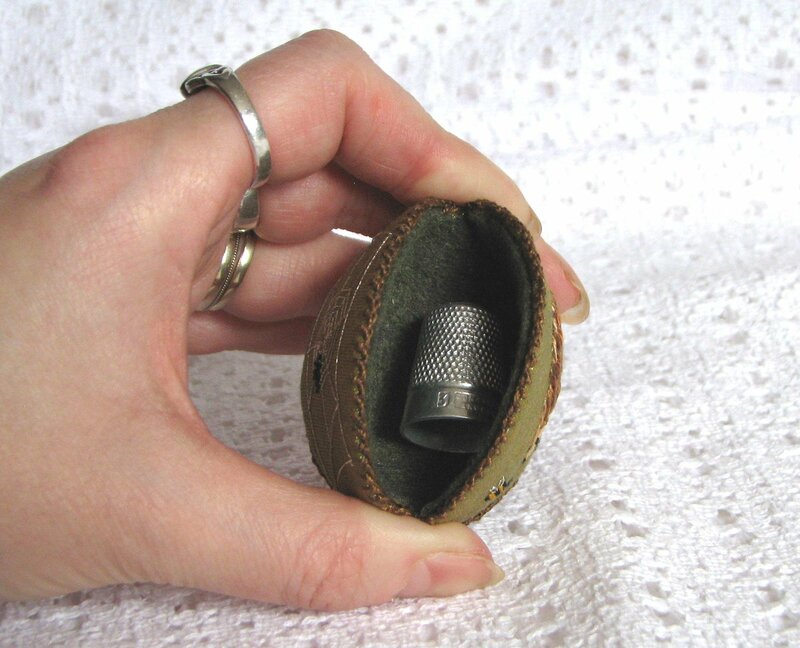 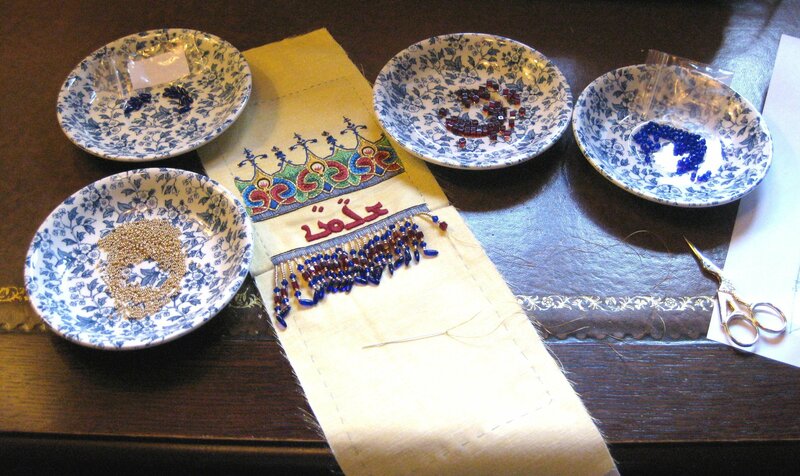 The bag measures about seven inches diameter. 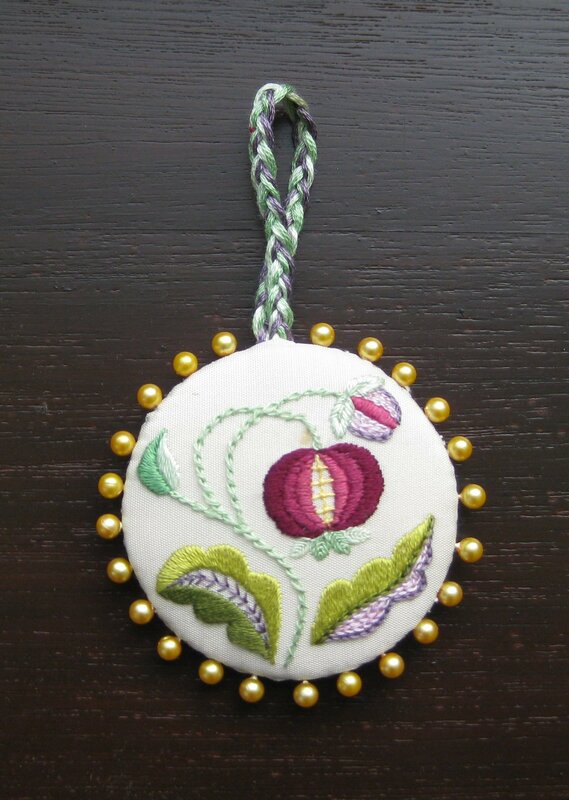 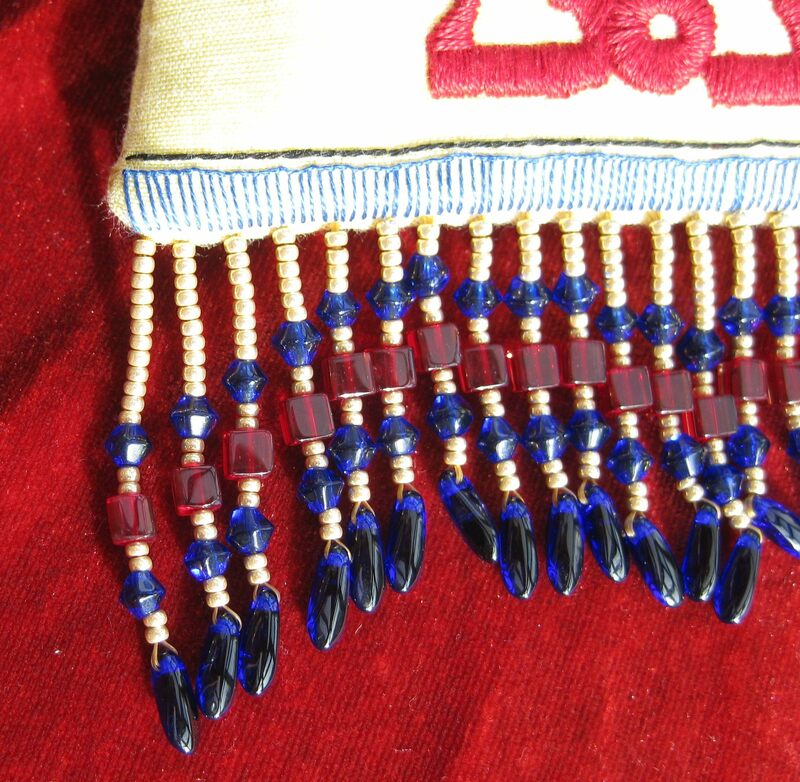 I made the tassel from a large ceramic bead, covered with toning embroidery silks left over from the embroidery itself. 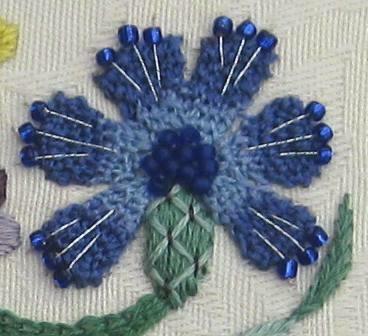 Then I worked Single Brussels Stitch ( similar to a buttonhole stitch worked in rows) to cover the bead completely.